Let us discuss how to hang a photo frame or picture on the wall. First think and consider about the room atmosphere, ventilation, place on the wall and etc. We should even need to think, at how much hight we have to hang the picture or photo so that it will attract us. We need another person to hold the picture on the wall and we can see how it is on the wall. We have to measure upper part of the picture with the help of tape and mark it using pencil. We should get the wire of size, how much hight you want to place the photo frame on the wall. Similarly we have to take the measurement of the photo frame which touches the wall. mark this measurement straightly on the wall. We have to poke nail or screw to the wall. Now we can hang the photo frame or picture very carefully. Most of the women work hard to decorate their houses. So they purchase a lot of articles which are very much expensive. If any guest is going to come to their house then they thing to purchase some other expensive things for their house look more beautiful. but we can even decorate our home with homemade things and less expensive things. So we can decorate our house simply in different style with in less money. While making flower arrangements pots on the dining table and centre table, the flowers must be lower than the pot. The flowers must be arranged at a higher level in the pot when we make flower arrangement at the tv and on a corner table. We have to make high level flower arrangement for corner stand. We can place flower vases at bedroom, but if we arrange flower pots with flowers and water then surely mosquitoes will enter. So it is suggested to arrange flower vases or pots without water. When the flower fragrance spreads in the bedroom it will be so pleasant. If we feel, By purchasing flowers and making flower arrangement then only our house will look beautiful. That means you are completely mistaken. the flowers which blossom to our plants we can arrange them with a leave. Then the flower arrangement looks awesome. This will improve the beauty of the room. We can decorate with marigold and hibiscus like flowers as these are available in most of the houses. We have to choose the pots which have less dept. Then we have to fill it with cold water and then decorate with the flowers which you like. Rose flowers, lily, marigold etc flowers can also used and they are mostly available. The flowers which you use for decorating your house, if they have good fragrance, our mind and house will be pleased. Especially the flowers which are in dark color and completely blossom must be placed at the centre and the flowers which are partially blossom and light in color must be arranged around the dark flower. we place these flower arrangement bowl at the northwest corner or entrance of the house or at the centre of the hall. We can even arrange them in the garden too. The container will be available in all sizes and in all materials. therefore, your house becomes beautiful, attractive and pleasant. Decorating a home is an art. Women do a lot for it and mostly they concentrate on the living room as people who visit their houses will spend their time in the living room and we also spend our time in living by relaxing ourself through watching tv by siting on the divans or sofas. Both divan and sofa contains cushions. So we spend a lot of money on them according to our budget. so that our living room will be pleasant, beautiful and attractive for guest and for us too. Therefore, the cushion cover need to change once in a month. 1. Using a vacuum cleaner for cushion cleaning is very easy method. so we can remove the dust and dirt from the cushion. It may not be possible to clean the cushions daily using vacuum cleaner. so at least we have clean them twice a week. 2. Once in a week we have to place the cushions in hot sun. Due to this, the germs and bacteria in them will go. Therefore, if any moisture is there, it will disappear due to the hot sun. cushions always need to be dry. 3. Cushions and their covers must be always smooth so we have clean them whenever possible for you or give to dry cleaning. 4. If you want to dry clean the cushions at home then take hot water in a bowl and detergents. Now drop the cushions on them and let them soak. But before cleaning them we have to read the fabric labels and then clean. 5. When the pet animals climb onto the kusion, while eating, and etc stains occurs on the kusions. So it is good to remove them or clean them immediately. 6. Few stains can be removed without washing the cushions. We just need to wet the cloth and rub on the stain thoroughly. Therefore, the stain will disappear. To dry the wetness on the cushion after removing the stain with wet cloth, you need to on thefan or use a hair drier. 7. If your cushions are very easy to wash with hands then by using a good detergent or soap it will be easy for us to remove stains. 8. If you have pet animals in your house then their smells sticks to the cushions, so we have to rub and wash with detergent or cloth spray or you have to add baking powder in water and wash cushions. 9. Naphthalene balls are very useful to remove bad smells. 10. Therefore, follow all these tips and clean your kushions and kushion covers very easily. You should not handle kushions very toughly while washing. Therefore, kushions gets spoil or become shapeless. We can decorate our house according to the season. If we decorate candles in our house then our house gets a special attraction. Such candles can be used to decorate our house by lighting them. 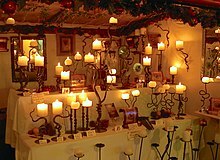 There are different varieties of candles available in the market. Try to place these colorful variety candles near the mirrors and at the plants. we can even decorate our bathrooms by lighting candles. The gel candles are made of mineral oil and plastic polymers. These candles will give lighting for more time. these candles make our house beautiful and our mind pleasant. We can make them in our house itself. We can place these colorful gel candles anywhere in the house that Dining table, centre table, side table, hall, dining room. these can be prepared very easily at home and there is no need to spend much money to get them or prepare them. Happy Valentine’s Day - Are you sure it’s the Love Day? Happiness is something that every human being is yearning for from the very beginning of his birth. It is the guiding motive that makes his life moving. Love Is A Many Splendored Thing - The Different Stages of Romantic Love !